Kunt zich insalleren op de plaats van uw keuze te installeren onder de 60 gedefinieerde en af gebakende sites. Aan de voet van de bomen of heggen, net wat u wilt om een tijdje heerlijk in het groen te zitten. En al naar gelang de seizoenen en de goede wil van de natuur bieden wij u wat seizoensfruit aan. Je houdt van fietsen, maar je kunt niet uw fietsen mee te nemen op vakantie ? Geen probleem, huren we fietsen dankzij een partnerschap. Om te weten hoeveel het kost, bezoek onze « Prijzen» Pagina. When you arrive, we are happy to give you pieces od advice to discover the area according to your tasted and holiday style. Fresh bread and croissants every morning (directly from the Boulangerie). 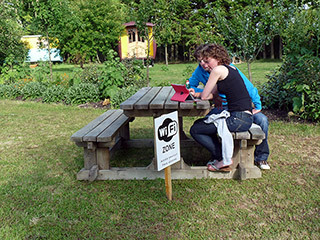 Free access wi-fi spot in the campsite. Did you heard about La Vélodyssée ? That’s a cycle path that comes from north Britany and gets down to North Spain. More than 1200Km, along the Atlantic coast. 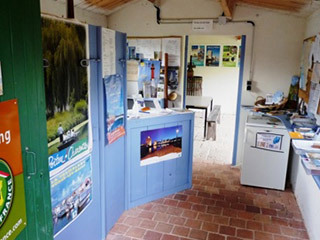 Bretagne, Vendée, Charente Maritime, Aquitaine, Pays Basque: No more than five different landscapes to discover, cycling, a way of life, at your own speed. Everybody is concerned, and choose the part of the cycle path in accordance with your cycling level. Some area are very easy, others harder, have a look before starting on the descriptive literature on their website. 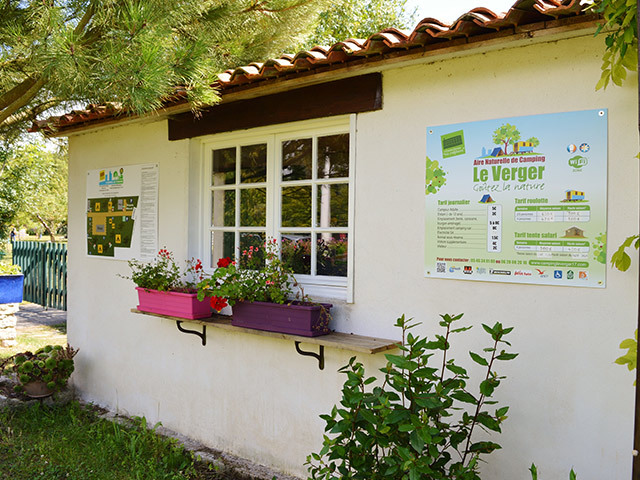 You’ll stop in “Accueil Vélo” registered areas: that can be hotels, B and B, camping. 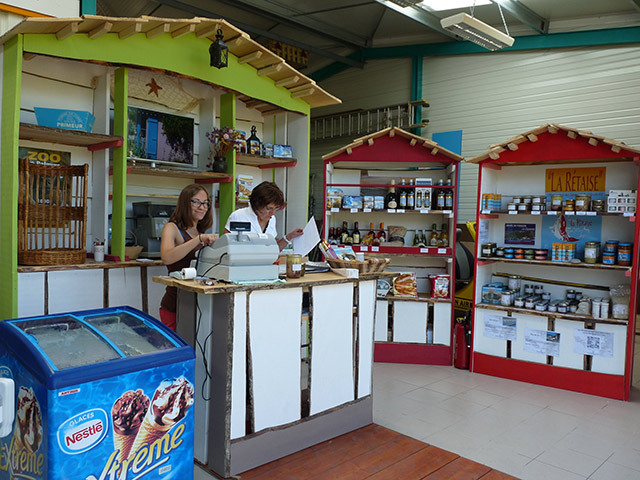 Camping le verger will kindly welcome you, because the owner knows what cycling means. We will be glad to see you and will do his best to provide you a good rest. According to your will, we will help you to discover nice places, not so far from the cycle path. If you need so, you can leave your car at the campsite during your cycling holidays along the Vélodyssée. Two large and toilet blocks : 8 WC, 8 hot showers (without tokens), sinks, and a disabled facility (WC/shower). A question about the campsite, need information or want to book?